We have two videos for you to enjoy on this page. 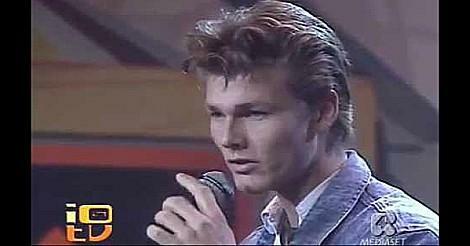 The first (above) features a-ha performing "Cry Wolf" on Italian TV in 1987. The second video is the original one released with the single, and you can find this further down the page. The song has an intro that sounds as if it was inspired by Dire Straits "Money For Nothing", although not quite as powerful or iconic. Nonetheless, this remains one of my favourites by a band who were at their best in the 80s in terms of producing melodic, commercially-friendly synthpop singles. It was released as the second single from a-ha's second studio album Scoundrel Days. It was the follow-up to "I've Been Losing You" which had reached #8 in the UK. The single entered the charts at #28 on 30th Nov 1986, while Europe were at No.1 in the UK with "The Final Countdown". The single climbed relatively quickly to reach its peak position of No.5 on 28th Dec. By this time, Jackie Wilson was at No.1 with "Reet Petite". This was a December that was lacking in Christmas songs, especially compared to the previous couple of years. The song also reached #50 on the Billboard Hot 100 in the U.S., and #2 in the band's home country of Norway. The 7" vinyl single included the track "Maybe, Maybe" (2:34) as the B-side. 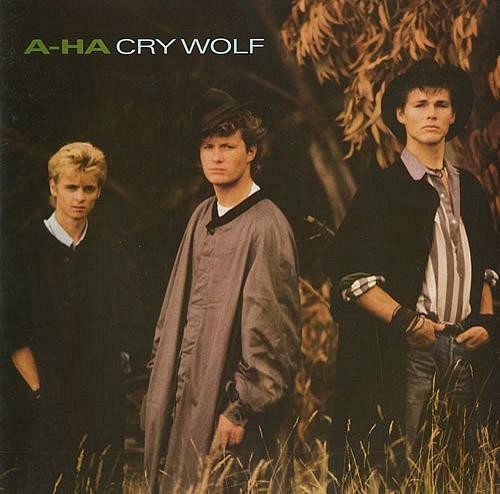 The 12" vinyl featured three tracks, the extended and album versions of "Cry Wolf" and "Maybe, Maybe". The video was filmed in Coudes in Burgundy, France and was directed by Steve Barron. He also directed "Take On Me" and went on to direct the films Teenage Mutant Ninja Turtles and Coneheads in the 1990s. The intro starts with the band on stage, before we are introduced to the boy who is the main focus of the story which is based on the fable The Boy Who Cried Wolf. The third and final single to be released from Scoundrel Days was the dramatic "Manhattan Skyline", which had a surprisingly hard rock style chorus.